Laura Ashley has opened its first branded hotel, Laura Ashley The Manor, (pictured) decorated with its own fabrics and products. It's not all paisley patterns and pink flowers, though, at the Hertfordshire Tudor revival property, 11 miles from London in Elstree. The hotel's 49 rooms have discreet modern bloom and check curtains, grey sofas, neutral walls and carpets. A new Museum of Jordan has opened in Amman's Ra's Al'ayn Area, covering 1.5m years of the country's history, starting from the Paleolithic period, and with 2,000 artefacts including 4,500-year-old pottery, and a recreation of ancient cave dwellings. Mighty Fine Company has availability for lots of trips to Scandinavia, including a "wild Taiga fly and drive" holiday, beginning in Kuopio in Eastern Finland, and driving to Rovaniemi above the Arctic Circle, visiting nature reserves and national parks, spotting wildlife, and trying canoeing and hiking. From £1,115pp including return flights from Heathrow, hotel and cabin accommodation, dinner and sauna most days, car hire and maps. The number of Brits visiting Tunisia has risen dramatically this year, according to the Tunisian National Tourist Office. 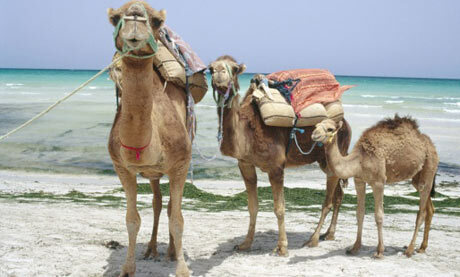 In June, 54,752 tourists visited the country, up 46% on June 2012. Figures for January-June 2013 were up 31% on 2012, and 18% higher than the busiest year: 2010. Thomson and First Choice have new summer flights to Enfidha from Exeter, Edinburgh, Leeds Bradford and Norwich airports. Brittany Ferries has a choice of low-cost breaks in northern Spain and the Picos de Europa mountains in autumn. A four-night trip between 15 September and 31 October costs from £179pp including two nights on the ferry from Plymouth to Santander, and two nights B&B in a hotel. The Guardian Cottages and Villas website, which lists an impressive 13,000 properties around the UK and Europe, is offering one lucky reader the chance to win a free stay, worth up to £1,500, in a boutique cottage. The Follies at Hawkstone Park (entry £7 adults, £4.50 kids) in Shropshire is a woodland "fantasy land" with grottos, caves, monuments and a castle, and hosts magical activities throughout the holidays. For £1 each, kids can go on a treasure hunt, or try den building. On 10 and 11 August there's an interactive performance, The Dragon's Quest, (£1 pp) with characters dotted around the park giving kids clues; or on 24, 25 and 26 August, a medieval camp is created with archery and sword-fighting classes, led by Robin Hood. 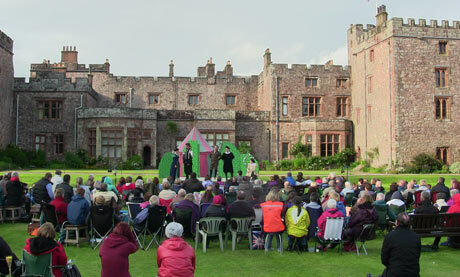 In Cumbria, Muncaster Castle has an open-air theatre weekend with renditions of Shakespeare's Twelfth Night and Wind in the Willows on its lawn on 10 and 11 August respectively, adults £13.50, kids £9, family tickets £40. In the Loch Lomond and the Trossachs national park, families can join a ranger-led walk on Inchcailloch island on 4 August, and every two weeks until 8 September. It's free but the ferry over from MacFarlane's Boatyard, Balmaha, is £5 for adults, £2.50 for under-16s. Kids can learn to clown around properly in Solihull at circus-skills days run by the Jester Academy at The Millpool, every Wednesday and Thursday from 8 August, for 7-16 year olds, (£10 each). At Manchester's Imperial War Museum, kids can learn about the awful food and hardships of the second world war through a Horrible Histories film (at 11am and 2pm). Or try the viewing platform, Air Shard, 100m above Manchester's streets.